Come and encounter the legendary Lions and Leopards of Savute. This remote and rugged corner of Botswana is the perfect for those with an adventurous spirit to have an encounter with these Big Cats. The word Savute has taken on mythic meanings fit for legends on the safari circuit of Southern Africa. This cult celebrity is partly due to the fact that the region has a high density of predators and that they are some of the most studied in the world. Dereck and Beverly Joubert spent over many years studying the Lions in the area. The concentration of predators is due to the enigmatic character of this landscape. Earth movements deep in the Earth periodically affect the flow of the Savute River - the last time it dried up it did not flow for over 20 years. It was during this period when game became scarce and what wildlife remained concentrated around a few man-made water holes that the predators thrived. Huge super prides of up to 30 Lions formed. 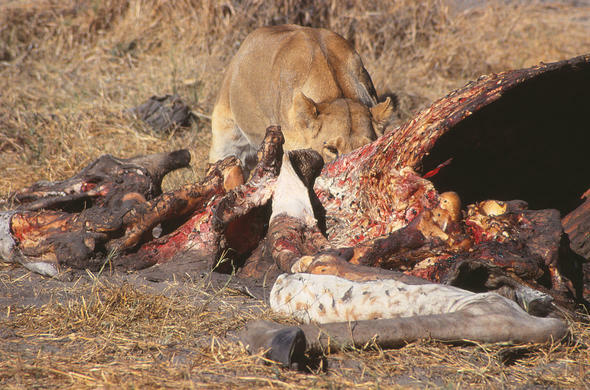 The Lions had to turn to non-traditional prey in order to survive and the large prides learnt to hunt nearly full grown Elephants. Now, Lions have been known to hunt baby Elephants, but this behaviour brought these prides notoriety. Now the conditions have changed - the river is flowing once again, bringing life to this parched corner of Botswana. The plains game has a long stretch of river over which to slake their thirst. As a result the super prides have broken up and formed smaller groups. Elephant hunting has not been recorded in some time. That said, there are still many prides of Lion that call the region home and the Savute is still one of the best places in Africa to see the Big Cats. 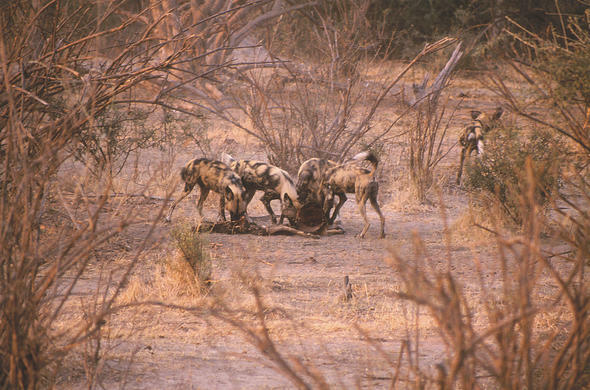 Other predators such as Hyena and Wild Dogs are also seen in the area. There are two packs that pass through the area on a regular basis and many visitors are rewarded with good sightings. These patchwork dogs are one of Africa's most endangered predators. This is due to the fact that they were mercilessly hunted through and mis-representation. Instead of being loathsome creatures, they are in fact efficient hunters, although this has not stopped them from being shot when they move out of protected areas. There are only a few places in Africa where they can be seen. They range over a wide area and therefore sightings are not guaranteed, but there are periods when they hang around the Savute area. There have been reports of packs competing with other predators such as Leopards and Hyenas. Leopards are also plentiful along the Savute Channel. In some areas visitors can see several on a single game drive. 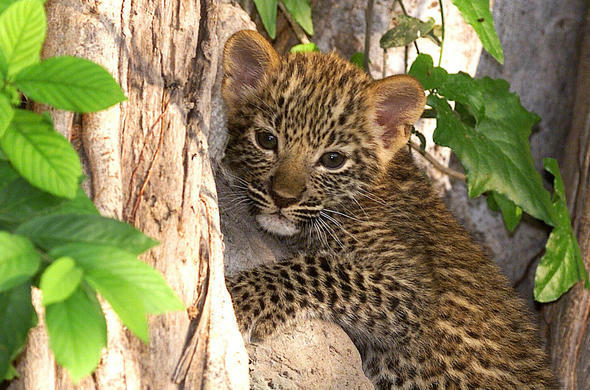 The Leopards in many areas of Savute are used to game viewing vehicles and visitors can often see quite relaxed behaviour from the resident Leopards. 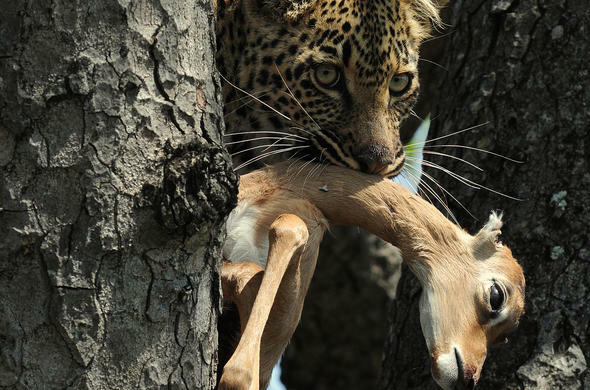 Leopards, Lions and Hyenas are often trying to steal each other's kills, and you might be lucky enough to watch them squabbling over a carcass.